The chameleon controller and sequencer that provides nearly endless possibilities. With a compact format, it is the perfect companion on the road or in the studio. The chameleon controller and sequencer that will match your musical environment perfectly. It’s compact, rugged, and the perfect companion on the road or in the studio. 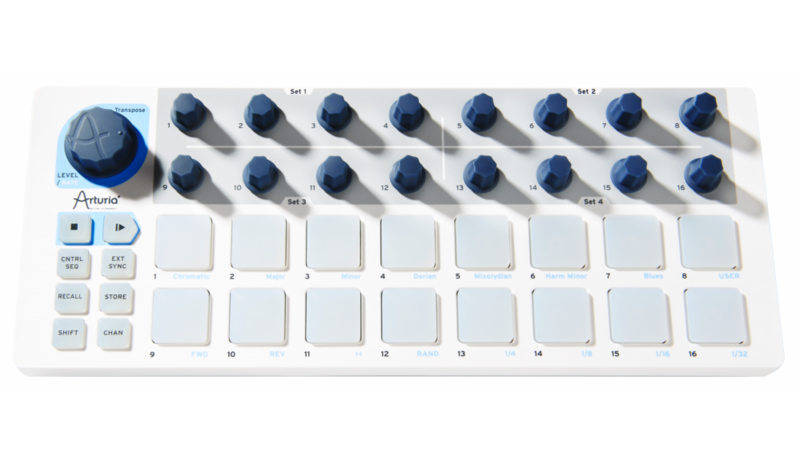 Arturia’s BeatStep: a degree of functionality and performance never seen before in a portable pad controller. 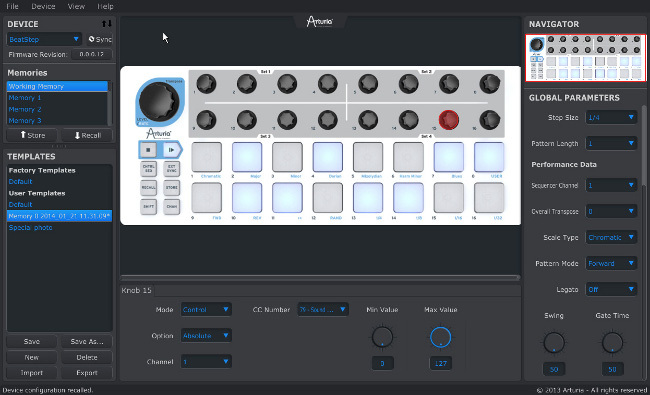 BeatStep is highly versatile, capable of triggering clips in applications like Ableton Live, playing drums with BFD or EZDrummer, or tweaking synth parameters. Or doing all of those at once! BeatStep is also a 16-step analog sequencer, and it’s like a force of nature when it comes to creating interesting musical phrases for analog synthesizers, MIDI drum machines, keyboards and DAWs. 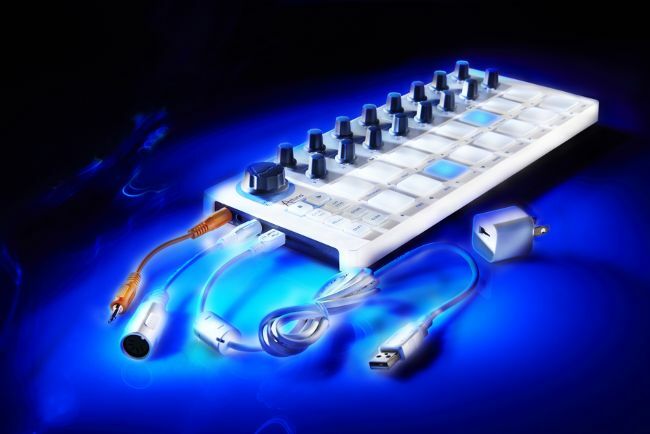 Its advanced connectivity interfaces easily with a computer or iPad® using USB, a drum module with MIDI, or the CV/Gate inputs on an analog synthesizer. In SEQ mode the pads become toggles for each step in your sequence. The 16 encoders will adjust pitch for the associated step. 16 memories allow for instant recall of your favorite patterns while the pad scale modes, sequence playback modes and time division functions allow for realtime performance changes. Arturia warrants Arturia hardware products, when purchased from an authorized Arturia retailer located in the USA, to be free of defects in materials and workmanship for a period of One (1) Year from the original date of purchase. 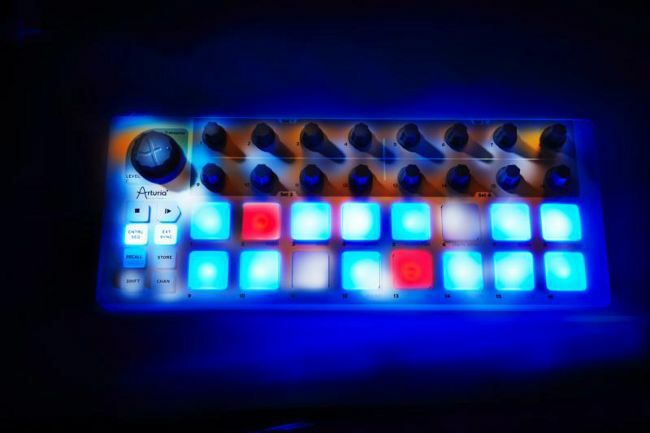 Arturia will repair Arturia hardware products found to be defective within that period, at its sole option, without charge for parts or labor provided its failure resulted from a defect in material or workmanship. Arturia may require proof of the original purchase date in the form of a dated copy of the original authorized dealer’s invoice or sales receipt. This is a LIMITED WARRANTY.